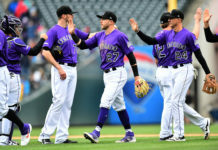 The Colorado Rockies came out of the All-Star break flat, and were flat-out outplayed by the New York Mets in the first game of the second half. 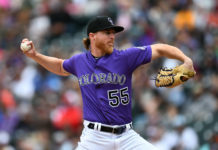 Jon Gray was knocked around to the tune of eight runs in two-plus innings and the Mets cruised to a 14-2 at Citi Field on Friday night. Rockies manager Bud Black marched out five pitchers on the night; four allowed earned runs. 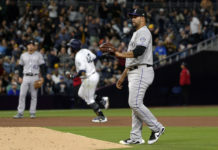 After giving up two runs in the second inning, Gray (2-1, 6.23 ERA) faced six batters in a disastrous third inning, failing to record an out en route to a final line of eight earned runs allowed on nine hits and three walks. Zac Rosscup did his best to limit the damage in his Rockies debut, but could not keep Gray’s traffic from scoring. He allowed another run of his own in the fourth inning, a solo home run to T.J. Rivera. Mike Dunn, who walked a batter in the fifth, was the only Rockies pitcher who did not allow a run in the game. Jordan Lyles gave up a three-run home run to Jason Conforto in the seventh inning before Scott Oberg allowed two runs on three walks and a pair of hits in the eighth. On offense, Colorado had no answer for Mets ace Jacob deGrom (10-3, 3.48) who struck out 13 and allowed just two runs (one earned) on four hits over eight innings. Charlie Blackmon and Gerardo Parra each had a pair of hits for Colorado, the only real highlights on the night. Colorado was 1-for-7 with runners in scoring position. They notched a pair of hits and a walk on Josh Edgin in the ninth inning, but could not push anyone across. 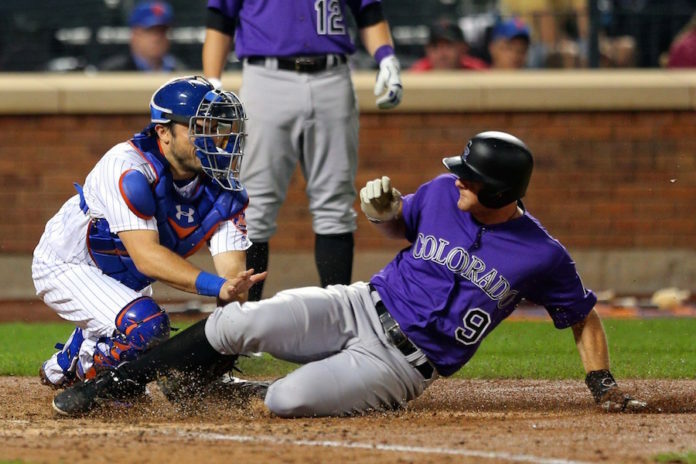 The Rockies dropped a full game in the Wild Card standings with the loss and a Cubs win. Colorado holds the final Wild Card spot by 6.5 games at this point. The Rockies will turn to Tyler Chatwood (6-10, 4.42 ERA) to turn things around in game two of the three-game series. The Mets will ask Seth Lugo (3-2, 4.59) to steal the early series win. First pitch is 5:10 p.m. MDT.